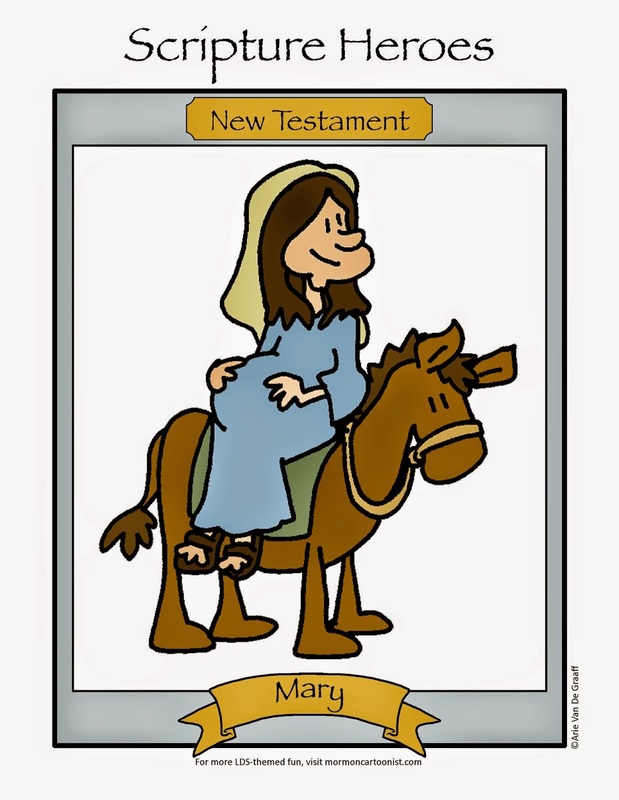 Ward Cartoonist: Mormon Pioneers, You Just Travelled 1,200 Miles, What Are You Going To Do Next? Mormon Pioneers, You Just Travelled 1,200 Miles, What Are You Going To Do Next? The Salt Lake Valley is a beautiful place to live. I love the mountains, the seasons, and the history. 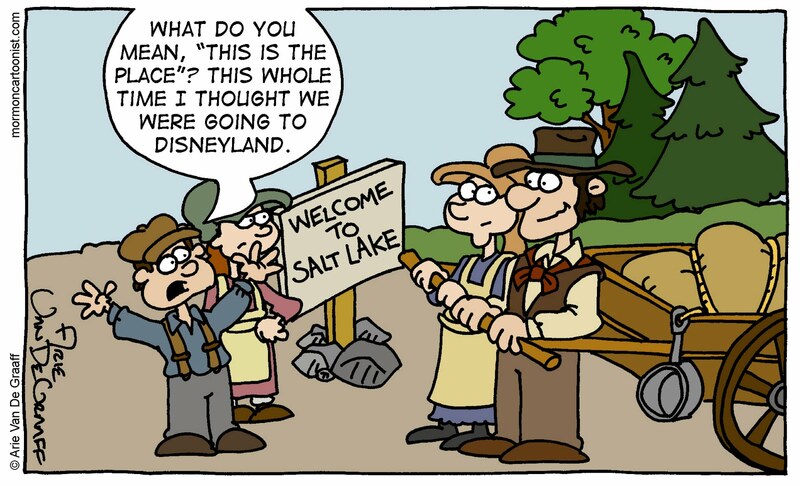 Sometimes, though, I wonder (usually in the middle of winter) what the pioneers must have thought when they were told they would be stopping in Utah. They must have heard reports from members of the Mormon Battalion (who by July 24, 1847 had already been in San Diego for six months) of the temperate, paradise where they were stationed. Here's a theory that I'll propose: perhaps in Brigham Young's sickened state--he was suffering the effects of Rocky Mountain Spotted Fever when the saints first arrived in the Salt Lake Valley--Brother Brigham stumbled over his words and said, "This is the right place. Drive on." When what he meant to say was, "Yeah, right, this place? Drive on." Perhaps the Salt Lake Valley was chosen because it was a place people wouldn't mind leaving to go serve missions abroad: "Bro. Hansen, you can either stay here and help the desert blossom as a rose, or go back and hang out in one of the great cities of Europe for a few years!" At least he was smart enough not to make a home at winter quarters. Can you imagine living there? This is one of the funniest comics ever. If our kids had to make the choice today of staying here in Utah or settling at Disneyland, I am sure they would have sided with this little boy and moved onto California. Thankfully, they it is not their choice.